Christmas Gift Tags, Kid Gift Tags, Christmas Gift Tags for Kids, Christmas Gift Label, Childrens Christmas Decoration Printable Download. 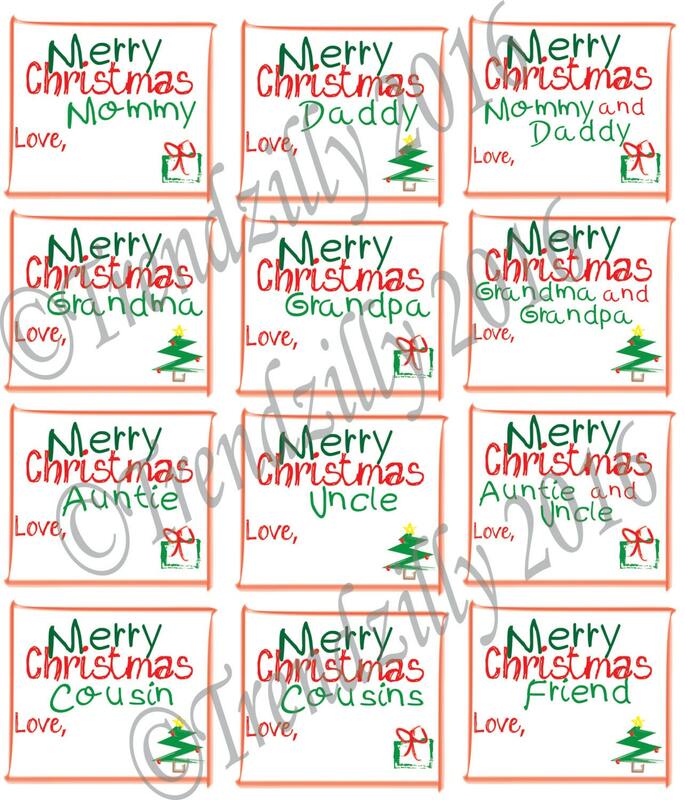 Merry Christmas Gift Tag printable. 12 per page with 2 pages for a total of 24. One page is blank and can be addressed and signed as you wish. The other page has tags that are addressed to Mommy, Daddy Grandma, Grandpa, Auntie and Uncle etc...with a place for the child to sign. These are cute and easy for kids to complete on their own for their gifts. 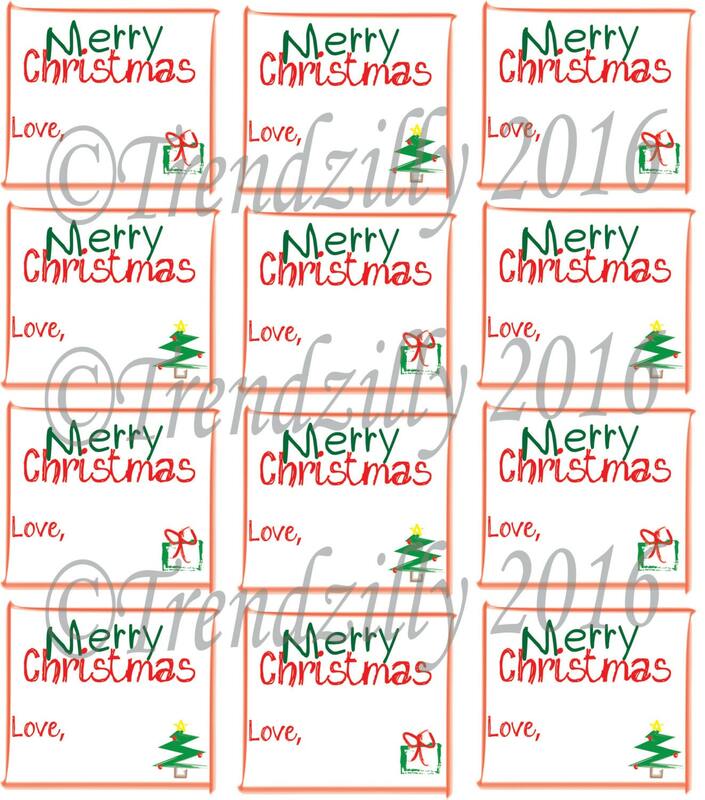 Gift tags can be printed on plain paper or sticker paper for easier application.